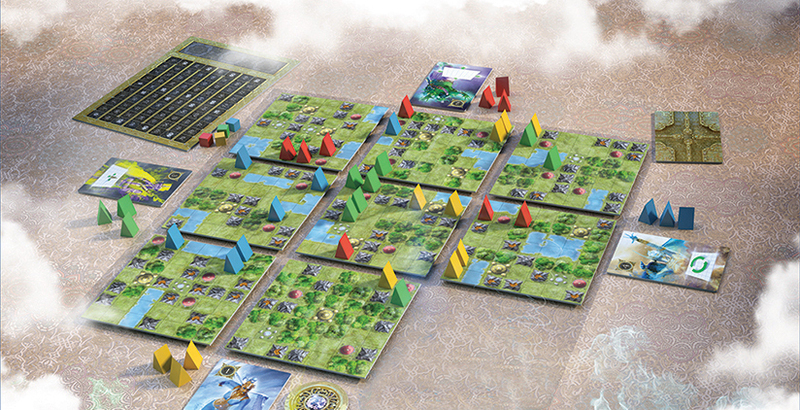 Scenario tiles introduce the four seasons, one of which can be used in each game. The scenarios give exciting new options for expanding your territory. Space Freaks - The Violet Morass is an expansion for Space Freaks. Mow down everything in your path as you claim new territory on the 2 new perilous arenas! Erect your corporate flag over a Neutral Base and score victory points each turn. Revel in the amazing combinations of new head and body parts. Create Freak upgrades in laboratories to propel your Freaks to the next lethal level. Outwit your opponents by integrating new equipment into your game tactics. Be on the lookout for any tricks up the new Arena Master's sleeve! With Space Freaks: The Violet Morass, discover two new arenas buried amongst the deadly thickets and perilous waters of the planet Azorax 5. Mow down everything in your path as you claim new territory. Erect your corporate flag over a Neutral Base and score victory points each turn. Revel in the amazing combinations of new head- and body parts. Create Freak upgrades in laboratories to propel your Freaks to the next lethal level. Outwit your opponents by integrating new equipment into your game tactics. Be on the lookout for any tricks up the new Arena Master’s sleeve. Staying in Myron’s favor may even allow you to modify the laws of Space Freaks. 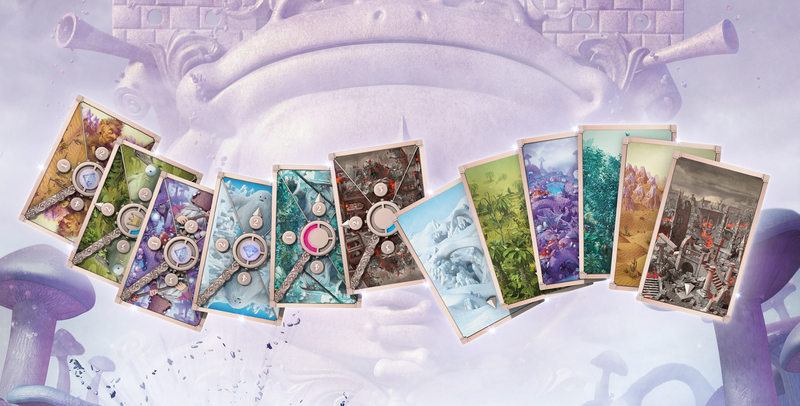 The island is guarded by five Guardians , which are represented by Guardian cards. On each turn, plays draft the Guardian cards, so that each player gets the help of one Guardian. The Guardian cards decide turn order and they also give you special powers. With them you can shape the island, move your tokens or gain first player marker for next turn. On your turn you have three tokens to use. You use tokens to spread your influence by placing them on the board. You can also sacrifice tokens to be able to cross waters or enter forests. Or you can just sacrifice them in a volcano. At the end of the game you get victory points for discovered temples and ruins on the map, and sacrificed tokens. The islands layout changes constantly based on player's actions, making Dokmus a dynamic, fast paced game. So choose your Guardian, make the right sacrifices and gain the favor of Dokmus! It's Friday night battle in the Arena of Annhilation! Stay tuned and see what new tricks our arena master has in store for today's battle. Here comes the first team. Oh my, they seem to be even uglier than our usual competitors. Who thought it was a good idea to match chain tracks with a poison needle? That team will need a lot of help from their sponsor to have a chance. 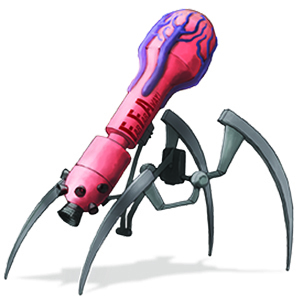 Look at their opponents, tentacles with anti-matter flail, that's a classic. Seems like we are ready to start. It's time to Freak out! In Space Freaks you are the team manager of one of the teams sponsored by powerful megacorporations. Your task is to combine different body parts to design the perfect Freak and then lead your team of Freaks to victory. The arena is controlled by the arena master, who each turn changes the conditions in the arena. To succeed, you need to complete tasks given to you by the viewers. Or just destroy the other Freaks and their base. But don't worry, in Space Freaks everyone wins. Either you are the manager of the winning team, or you become a (body)part of the next winning team! Welcome to the next thrilling season of Space Freaks! Design your team of Freaks and collect the most Victory Points during 6 rounds of play to be the next Champion in the most destructive game in the galaxy. 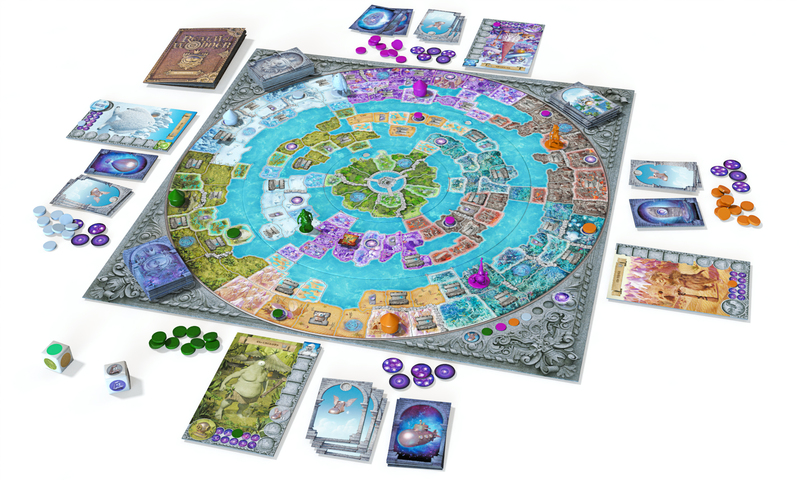 In the two-player card battle game Allies: Realm of Wonder, both players choose two characters to create their own decks. 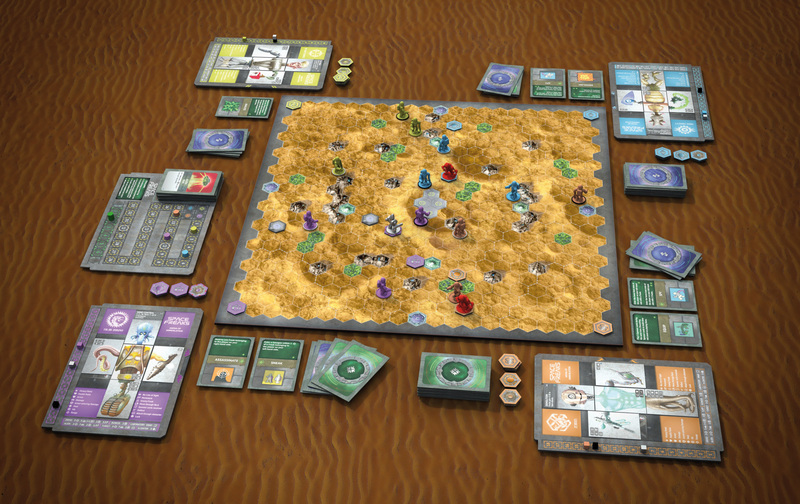 The game is played over four rounds, and during each round the players fight for the Region Cards in the center of the table. Each new Tribe Card that is played changes the situation, and they may have the power to weaken cards of the opponent or strengthen those of the player himself. A round ends when all slots by the Region Cards have been filled. At that point a fight takes place around each Region Card. The strongest Tribe Card by each Region Card creates victory points for the player. For the next round, new Region Cards are placed, and old Tribe cards are removed. The player with the most points after the fourth round wins.